Summer on Sale! 2 Bedroom 2 1/2 Bath TownHome!! Property 6: Summer on Sale! 2 Bedroom 2 1/2 Bath TownHome!! BEAUTIFUL BEACH HOUSE 3 BED, 3.5 BATH, GARAGE, 2 STORY, SCREENED PORCH AND MORE! 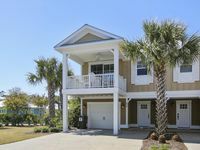 Property 8: BEAUTIFUL BEACH HOUSE 3 BED, 3.5 BATH, GARAGE, 2 STORY, SCREENED PORCH AND MORE! Have you made you summer beach plan yet.....Wait no longer!! Property 16: Have you made you summer beach plan yet.....Wait no longer!! 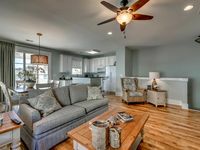 “Gorgeous 4 Bedroom/2.5 Bath -- Barefoot Resort Across the Street From Pool"
Property 21: “Gorgeous 4 Bedroom/2.5 Bath -- Barefoot Resort Across the Street From Pool"
Beautiful Townhome in Desirable Tidewater Community in NMB! Great for Golfers & Famillies! Property 29: Beautiful Townhome in Desirable Tidewater Community in NMB! Great for Golfers & Famillies! Only a few weeks left in the Summer! Property 32: Only a few weeks left in the Summer! 2BR Luxury Spa Villa - Comfort & Relaxation Priority * SPA * DINING * SHOPPING! Property 33: 2BR Luxury Spa Villa - Comfort & Relaxation Priority * SPA * DINING * SHOPPING! THE LINKS at Myrtle Beach OCEANFRONT RESORT & TENNIS CLUB Great North Location! Property 34: THE LINKS at Myrtle Beach OCEANFRONT RESORT & TENNIS CLUB Great North Location! JUST REMODELED! 1/2 Block to Beach * Fenced Yard * Wi-Fi * Pet Friendly! Property 35: JUST REMODELED! 1/2 Block to Beach * Fenced Yard * Wi-Fi * Pet Friendly! Property 37: Booking for Spring and Summer 2019... Great Place, Great Price,Great Memories!! Property 39: **SPACIOUS and RELAXING!! ** 3BR Town home located in the POPULAR Barefoot Resort! Pet Friendly Townhouse 1/2 Block to Beach! Top Location * Fenced Yard * Wifi! Property 43: Pet Friendly Townhouse 1/2 Block to Beach! Top Location * Fenced Yard * Wifi! TOTAL RELAXATION and SERENITY in this Barefoot 3BR Town Home! BOOK TODAY!!! Property 45: TOTAL RELAXATION and SERENITY in this Barefoot 3BR Town Home! BOOK TODAY!!! Great Condo-Close to golf courses, shopping, restaurants and the beach! Property 47: Great Condo-Close to golf courses, shopping, restaurants and the beach! Property 49: Great Condo-Close to golf courses, shopping, restaurants and the beach! Save more off the beach - 2 Bedroom 2.5 Bath Short Drive to the beach. Sleeps 8! Property 50: Save more off the beach - 2 Bedroom 2.5 Bath Short Drive to the beach. Sleeps 8! It was beautiful, clean and the perfect location.